Quick! Get Your RV’s Down To The Los Pollos Hermanos Pop-Up Shop In Downtown LA and NYC! With “Better Call Saul” season three right around the corner, dropping April 10th on AMC, the show is doing some pretty serious marketing for the show. The show surprised us all with news that the bone-chilling character Gustavo Fring was returning this season via a trailer that was a commercial for the fictional restaurant “Pollos Hermanos.” Now they’ve gone a step further, erecting pop-up shop slash restaurants in Downtown Los Angeles and in New York City. The “Pollos Hermanos” restaurant from “Breaking Bad” has a pop-up shop currently in LA and is coming soon to NYC. It’s outfitted to look exactly like the fictional franchise. They’re even going so far as to serve actual food. Unfortunately, based on reporting via LAist, there won’t be any chicken, just curly fries and dipping sauces. And hopefully some cool “Better Call Saul” swag and some amazing Instagram photo opportunities. You definitely want to hurry as the lines are already getting crazy. Like, really crazy. You think this is sped up, but it’s not. If the lines are any indicator of the show’s fan base, this season is going to be huge. Several months ago AMC teased the return of Gustavo Fring, who fans know is a bad man in the “Breaking Bad” and “Better Call Saul” world, with this fake commercial viral video. “Taste The Family” definitely gives off some Sweeney Todd vibes. Hopefully Gus and Saul show up the way they did at a similar pop-up shop at SXSW this year in Austin, TX. Fans of the show know when these two are together bad things happen. “Breaking Bad” things. Rim-shot! They’ve spared no expense, hiring a team of servers and even a performer to rock the hell out of a chicken costume. They’re promoting the event on Facebook as well. If this poor guy only knew how dangerous working for Gus Fring was, he’d be out of there. Run man! Save yourself! The restaurant slash pop-up shop is coming to a city near you. It’s only around for a short time, so act fast. Are you planning on checking out the pop-up shop? You too could have your very own prison-style photo with a chicken suit wearing human. Tag someone who would go to the “Pollos Hermanos” pop-up shop using the links below! Molcajete Dominguero Tienda is a Latino-owned popup store selling Latino brands that finally has a physical location in Boyle Heights. For Los Angeles-based chef Roy Choi, Hot Cheetos aren’t just chips but a relic of his childhood he still loves today. He can still remembers his first bag of Flamin’ Hot Cheetos. When the spicy snack first came out, he grabbed a bag from his local liquor store and instantly knew this was something special. Kate Del Castillo Wants All Of Us To See A Different Side Of Mexico In New Netflix Show "Ingobernable"
In the new Netflix series, only the second original one to be completely in Spanish (the first was “Club de Cuervos”), “Ingobernable” follows Mexico’s First Lady, Emilia Urquiza (Kate Del Castillo) as she is being chased for the assassination of her husband, the President of Mexico Diego Nava (Erik Hayser). The trailer shows the high power couple in a relationship in decline, tumbling down in tumultuous fashion. With a divorce looming, and what appear to be one too many drinks, a body goes flying off a roof several floors down, crushing the roof of a government issued SUV like a soda can. The body? That of Diego Nava Martinez, the young handsome president of Mexico. Emilia then disappears and sets out on the run from the law, using her security expertise to evade officials. Ha comenzado la búsqueda de la primera dama de México. #Ingobernable Solo en Netflix. “Ingobernable” is the Spanish word for “ungovernable” or “unmanageable,” which seems totally appropriate for Castillo who is no stranger to controversy. If she doesn’t look familiar – even though she’s been on “Jane The Virgin” and “Weeds” – her name might ring a bell for you. 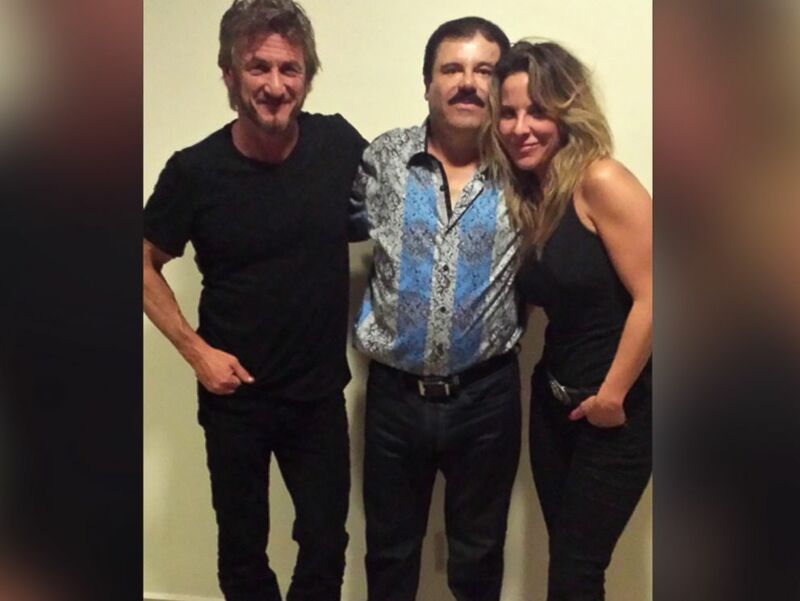 Castillo was allegedly at the heart of the controversy surrounding Sean Penn’s infamous, and probably strangest of all time, interview with El Chapo. Recently Castillo sat down with Vanity Fair to discuss the new action packed show and talk (as much as she legally can), about her feelings on the El Chapo debacle. In the Vanity Fair interview she mentions her frustrations around legal issues with the infamous El Chapo meeting. Despite her legal battles, she’s excited for viewers to see Mexico in a new light. Hearing it from Castillo, it’s hard to tell whether that’s coming from her character Emilia Urquiza, or from her personally. “Ingobernable” is available to stream on Netflix now. Have you seen Ingobernable yet? Share with someone who’d love this show with the links below!